Welcome to part 8 of my series Mastering common challenges in Office 365. 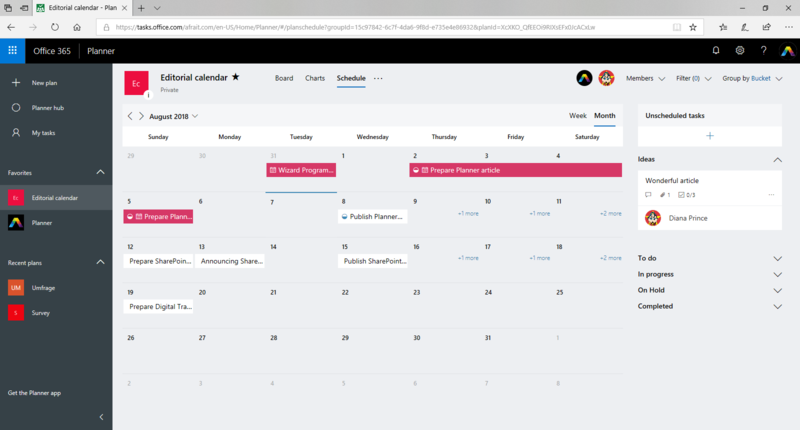 This time we are taking a look at Microsoft Planner. 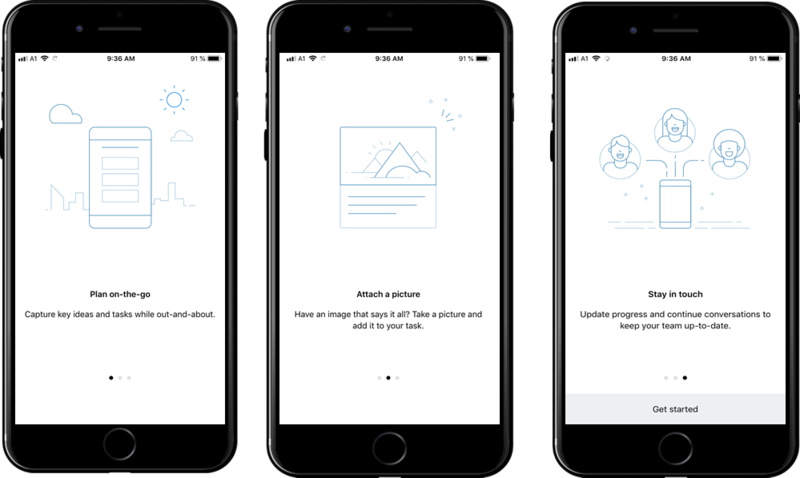 This article will guide you through the basics, views, integrations options, mobile app and more. You find PowerShell, OneDrive, Microsoft Forms, SharePoint and Microsoft Teams in my Mastering common challenges in Office 365 series. Go give it a shot. Microsoft Planner is as a lightweight, collaborative and highly visual task management tool. You all probably know solutions out there. Trello, Asana or even JIRA just to name a few. To be fair Asana and JIRA are alternatives to more complex project management. 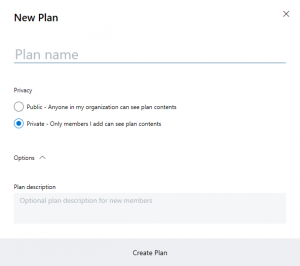 Microsoft Planner as the name implies allows people to create plans!!! Crazy, right? 🙂 But it also allows to organize, assign, and collaborate on tasks. You can set start and end dates, update the tasks via comments and share files. You can filter and switch between different views, and you’ll get updates via email notifications. Of course it all comes with your Office 365 group and therefore you have incredible integrations options. 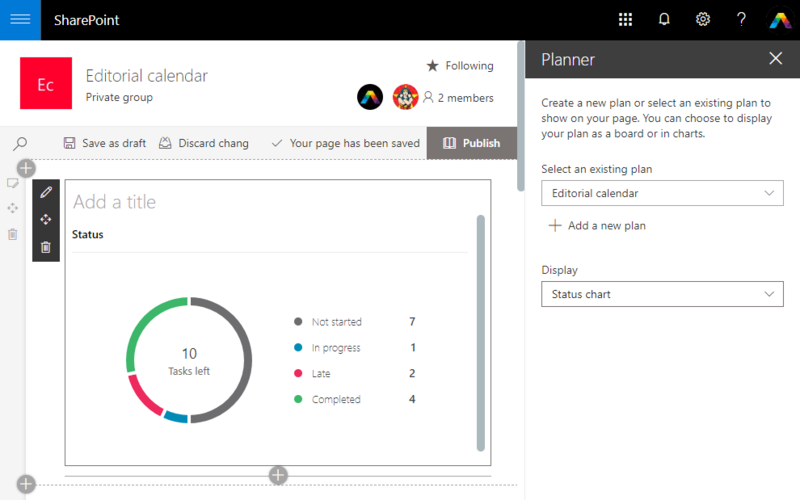 You probably don’t know it, but Microsoft Planner is not an “old” product. 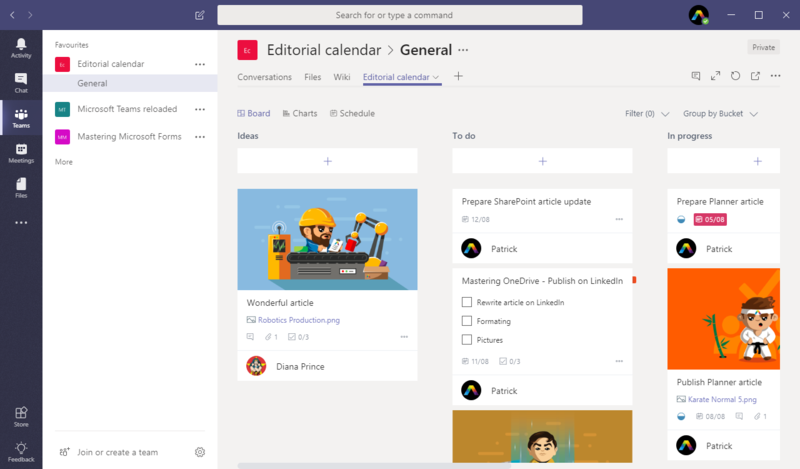 In all the spotlight of Microsoft Teams, Microsoft Planner moved a little bit in the shadow. But from my point of view, Planner deserves it’s place in the spotlight as well. 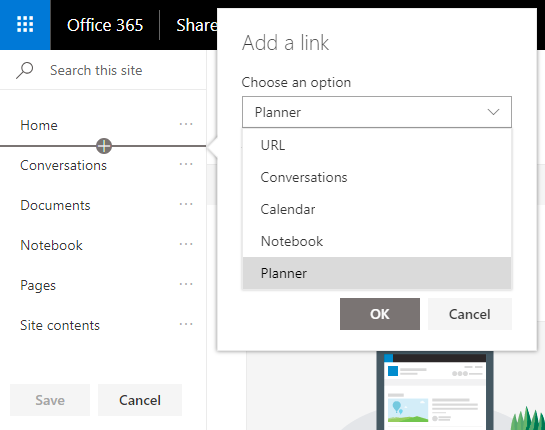 If you start your planner application via the Office 365 Dashboard you will see your Planner hub where you can navigate to the plan you want to. You can favorite a plan so it will be… in your favorites 🙂 like my editorial calendar or my “Planner” plan. (I know super great name 🙂 ) You will also get your favorites on the left side menu. Just hover over a plan and check or uncheck the star icon. 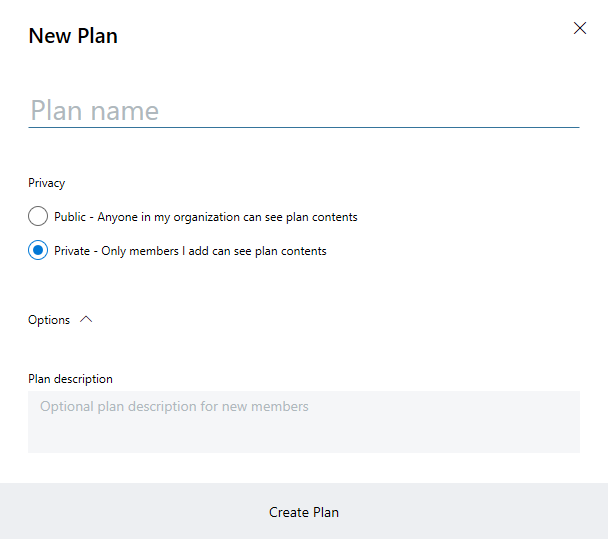 To create a new plan you click just on the the top left + New plan and you can set a name, set the privacy options of the plan and you can enter an optional plan description. After that your plan is ready to be filled. You will see your Board view and you can start adding tasks to your board. You can also rename your buckets and add new ones. 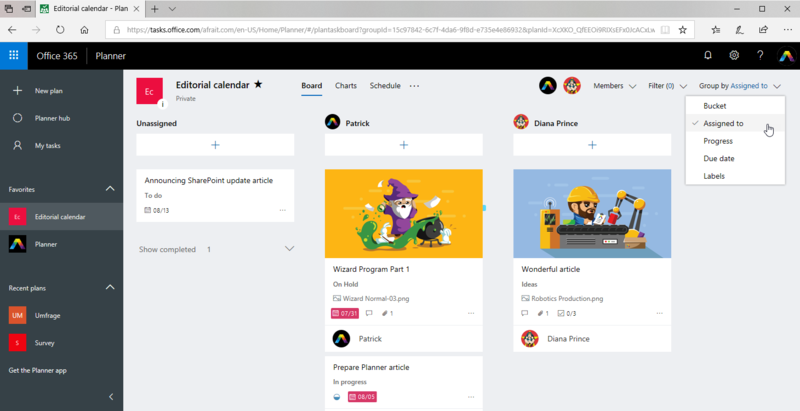 The main way to interact with Planner is through the Board view, which contains task cards, each organized into lists or “buckets”. In the picture below my buckets are called “ideas”, “to do” and “in progress”. Each card can contain information such as task description, start and due date, files, comments, people working on this task and more. Buckets are used to represent the status of a specific project, but to be clear, there is probably another way for you to organize your things. This may mean a task is dragged and dropped from a “To Do” bucket to “On Hold” as work is currently stopped. Those who’ve used Trello or similar tools already will find the way Planner functions familiar. There is also a Charts view that provides a higher level overview of your tasks in a plan. This empowers your team members to see the status and progress of the different tasks. To me this view helps a lot in bigger projects to see if a project falls behind schedule or when a team member has much more to do than others. The Charts view also shows if you have tasks unassigned, so you can then check on those tasks and assign it to a member of your plan. Next there is my favorite view for my editorial calendar plan. The Schedule view. 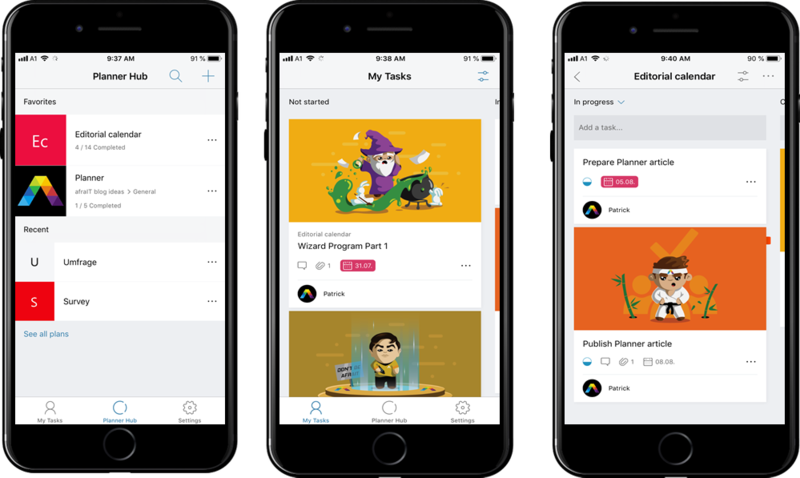 This view is available since early February this year and allows you to simply drag and drop tasks into your calendar. In addition you can switch between a weekly and monthly task view. Be aware that only tasks that don’t have a start or due date are listed on the right of the calendar in the Unscheduled tasks list. This was a little confusing to me in the beginning. You probably saw the Member, Filter and Group by section on the top right already. 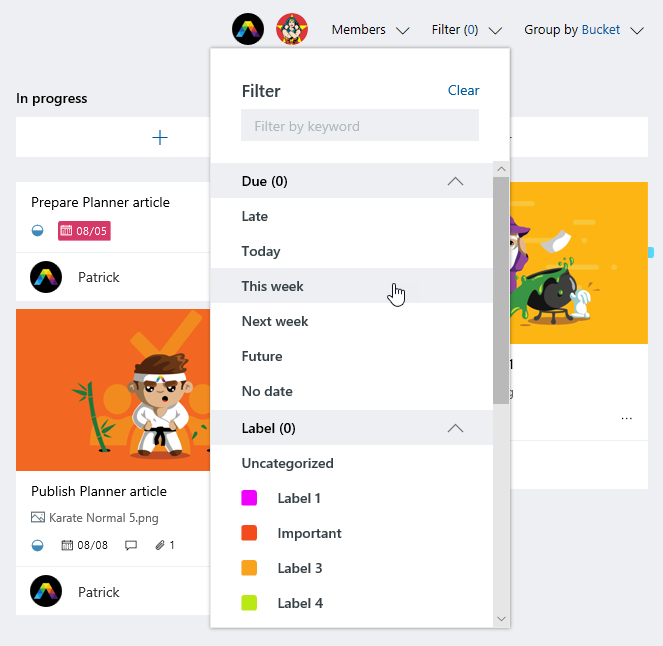 The Group and Filter options in Planner give you deeper insights into your tasks to help you meet deadlines. For example, filter your tasks by due date to better understand approaching deadlines. You can also Group by for example “Assigned to”. So you can see instantly who has maybe to many tasks and who can take a few things over to meet the deadline. Nowadays almost every Office 365 application has it’s own mobile app. This is also valid for Microsoft Planner. When you start your Planner app the first time you get a few quick welcome screens to get you started. Within the app you have first your already known Planner Hub, but you also have a quick view to My Tasks and your Settings. Of course you can also go into a plan to edit a task, create a task and much more. There is also an iPad version available which gives you an even more ways to work with Microsoft Planner. To be honest, I don’t use the iPad app that often, simply because the iPhone app is a great solution for me and it also shows everything nicely on my screen. One thing which is super monster mega cool, is the drag and drop option on your iPad. Microsoft Planner has great integrations. 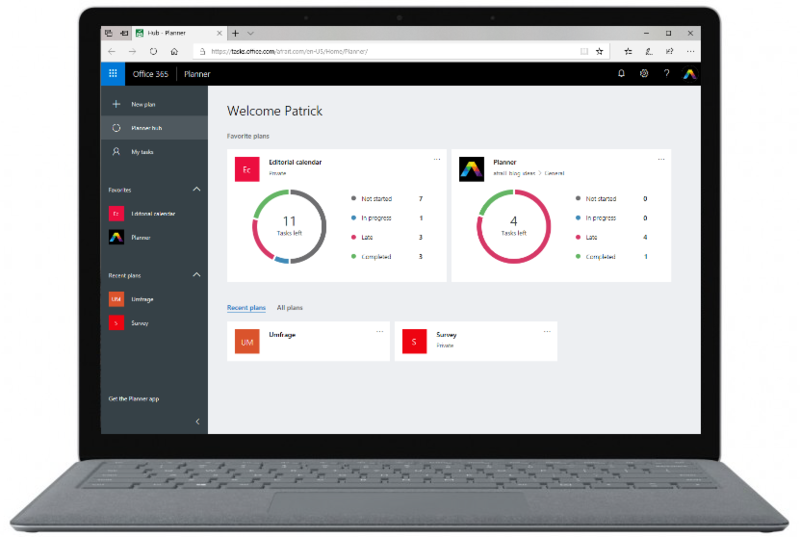 For me Microsoft SharePoint and Microsoft Teams are the best in case of integrations. You can easily modify your navigation in SharePoint and add directly a link to your plan. Be careful, because if you do it like in the picture below, it is “just” a link which will open Microsoft Planner in a new tab. Personally I am more a fan of the web part integration. I can even choose the different views to directly embed to my SharePoint page. That’s really cool! Of course Microsoft Teams has also great integration options. Just add a new plan to your team or choose from an existing plan and add it to your channel. You have almost the full capabilities from Microsoft Planner. Go try out these to options as an integration. 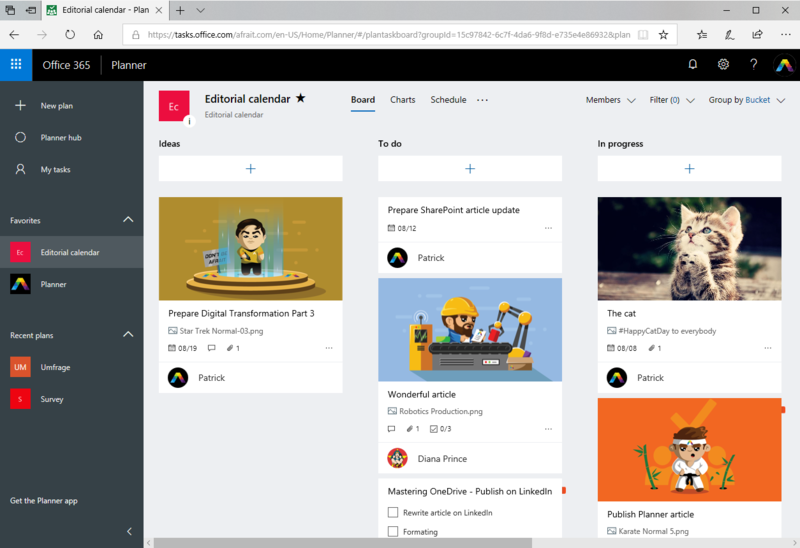 There is so much potential for Microsoft Planner. It uses Office Groups and therefore it has an seamless integration. It maybe has not seen that much spotlight as Microsoft Teams, but it deserves more for sure. So come together and plan together with Microsoft Planner. Until the next time, don’t be afraIT!